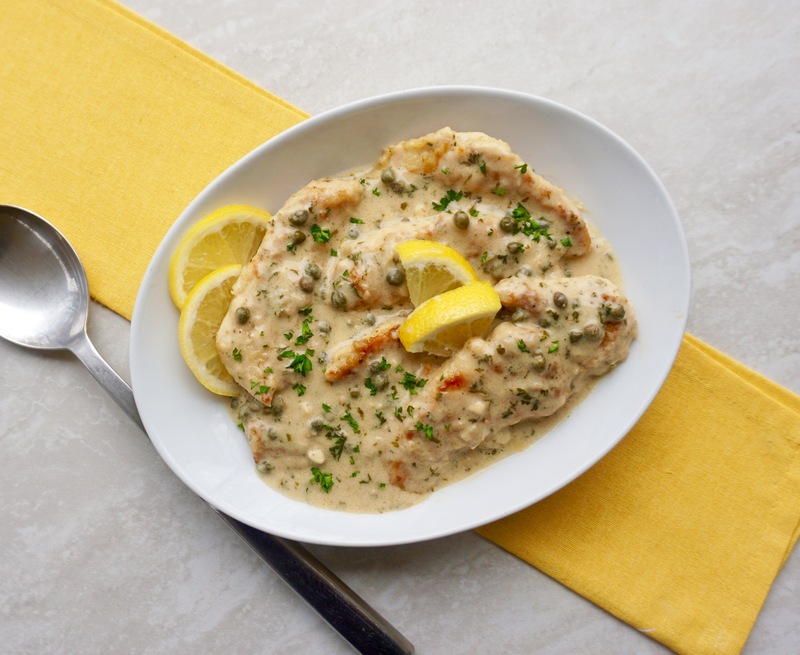 Chicken Piccata is a creamy lemon, caper chicken dish. 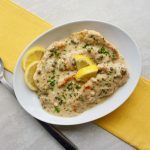 Chicken Piccata is a simple and delicious recipe where chicken cutlets are browned and served in a creamy lemon sauce. 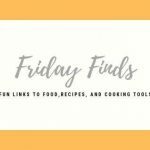 This recipe is easy and fast so you could could make it for a weeknight dinner. It is also nice enough so you could serve it to guests. 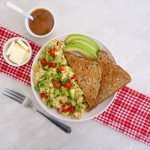 It can be made ahead and reheated when you are ready to serve it. You may be wondering what the difference is between this recipe and Chicken Francese. While they are somewhat similar, in Chicken Francese, the cutlets are dipped into flour and then eggs. 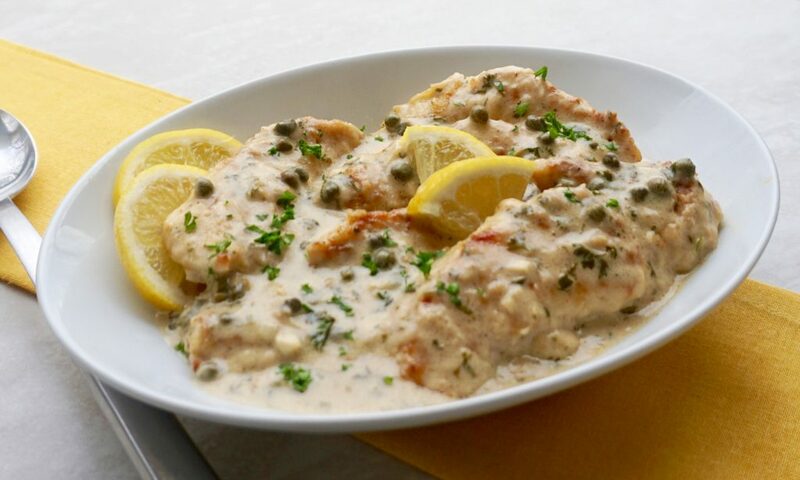 Chicken Piccata cutlets are dipped in flour only and the recipe calls for capers and cream. They are both easy and good! 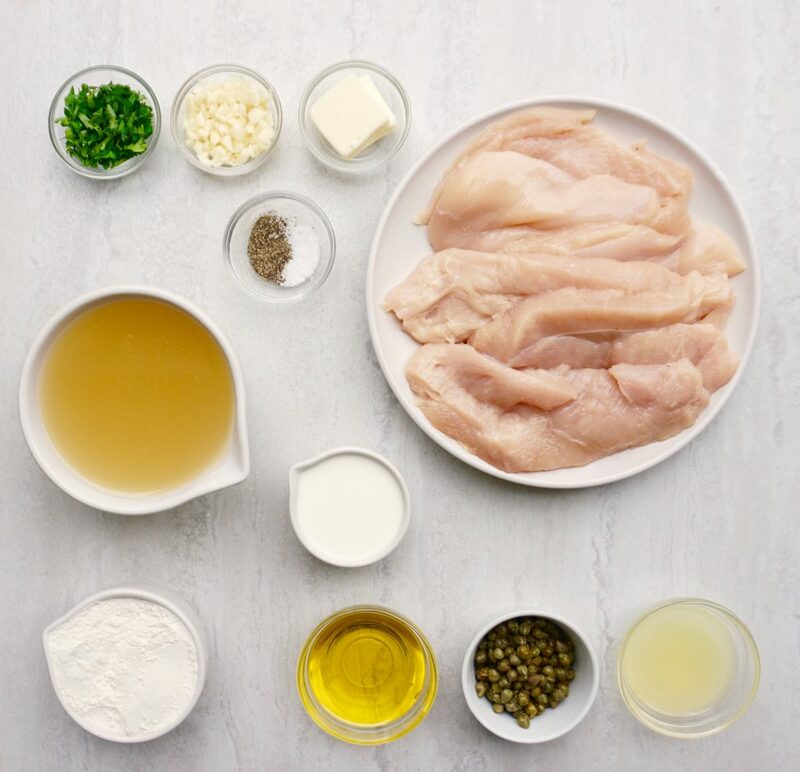 Make your Chicken Cutlets If you have never made them before this article will give you good guidance. If you have two large boneless breasts, you should be able to get 4 cutlets from each one. Combine the flour, salt and pepper in a shallow pie plate. Dip each cutlet into the flour mixture so that it is completely coated. Reserve one tablespoon of the left over flour. In a small cup, mixed it together with 3 tablespoons of water and make sure it is combined well and smooth. Set aside. In a large skillet heat the olive oil and butter over medium low heat. When the butter has melted, add the chicken cutlets to the skillet. Brown both sides of the cutlets and make sure that they are cooked through. This will take about 2 minutes on each side. Remove the cutlets from the skillet to a plate. Add the garlic cloves to the pan and cook for 1 minute, stirring with a rubber spatula as there will be some brown bits in the pan from the chicken. Add the chicken broth and lemon juice to the pan and bring to a boil. Turn off the heat. Pour the flour/water mixture into the skillet. Using a whisk, combine it thoroughly into the broth. Turn the heat back on to medium low and continue to whisk until the broth thickens. Add the cream, capers and chopped parsley to the skillet. Combine well. Add the chicken cutlets back to the skillet to heat through. Simmer for 3-5 minutes. If you make this ahead, layer the chicken in a 9 x 13 inch baking dish. Pour the sauce over the chicken and cover with foil. When you are ready to serve it pre-heat your oven to 350 degrees. Bake for 20-25 minutes until it is bubbly and heated through.